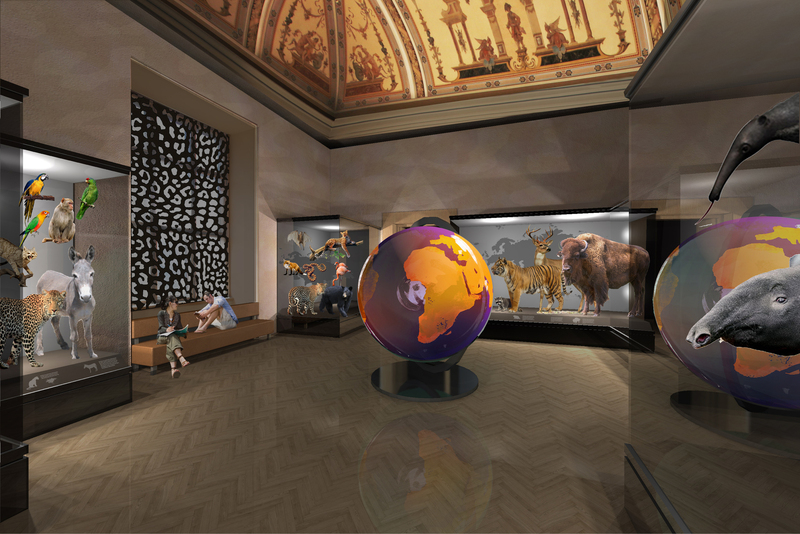 Complete reconstruction of the Historical Building of the National Museum will soon come to an end and connected with that are new expositions which will be opened in 2019 and 2020. During 2017 and 2018 architects were carefully selected for each part of the Historical Building, New Building and Connecting Hallway. 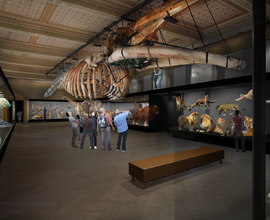 The National Museum introduced all eight themes of the new expositions. 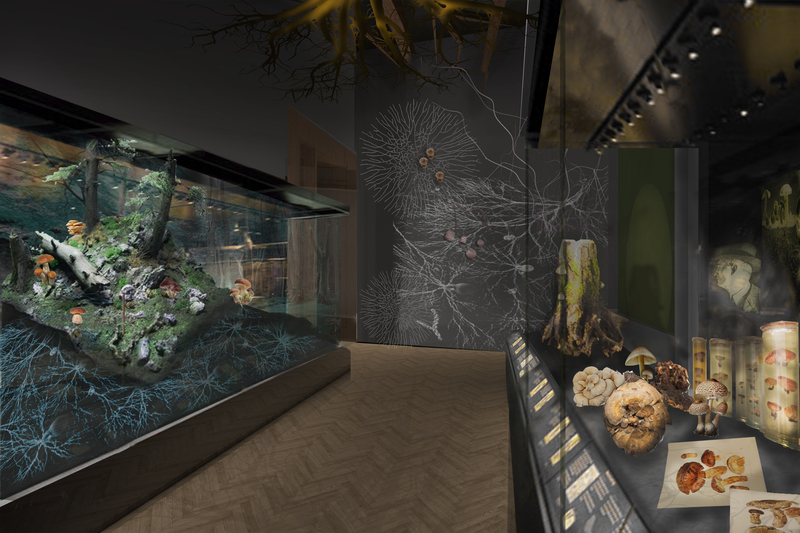 New permanent expositions represent the greatest exhibition project in the Czech history. 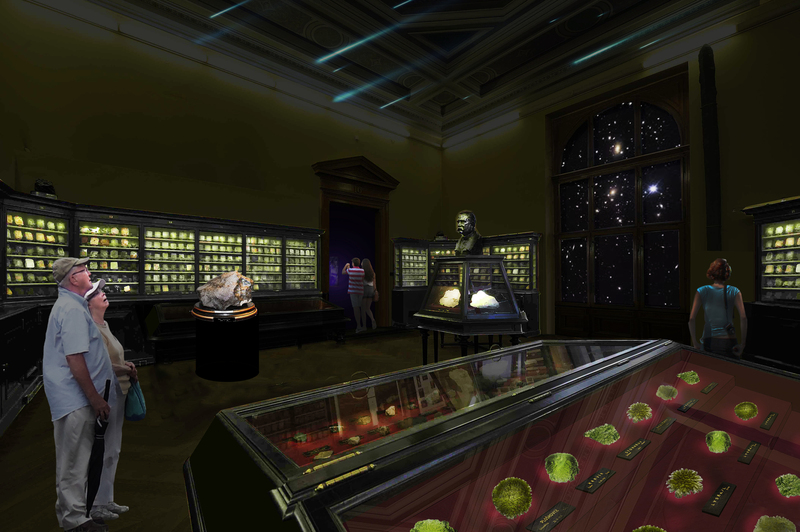 They follow the exhibition character of the museum, where historical and natural science themes come together. At the same time they employ the most up-to-date presentation styles, audiovision and even accompanying interactivity. Thus, for the first time in the history expositions will be presented as a whole. 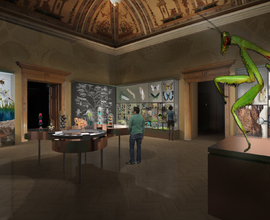 The National Museum has never engaged in some of the themes in its expositions and visitors will have a chance to see even some unique specimens exhibited for the first time. 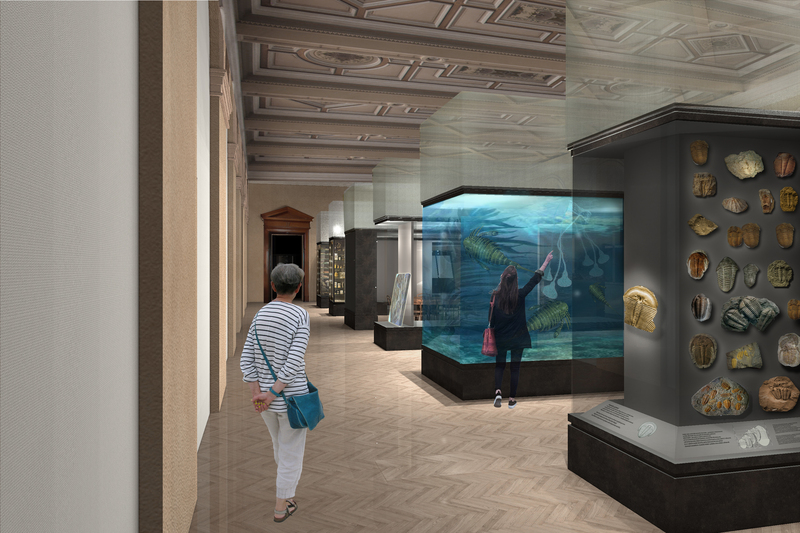 This way the National Museum will create a friendly, modern and interactive centre for leisure and education. The Historical Building of the National Museum will be partially opened in October this year. The complete building approval of the Historical building is planned for spring 2019. 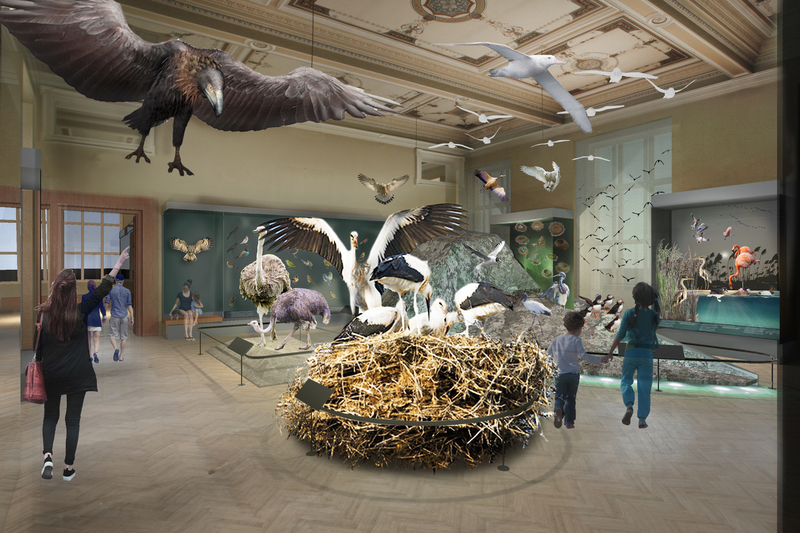 From November 2019 visitors will have the opportunity to see the exposition complex Nature and Miracles of Evolution located in the Historical Building of the National Museum. At the same time another two complexes in the New Building will become available to public – History of the 20th Century and Children’s Museum. 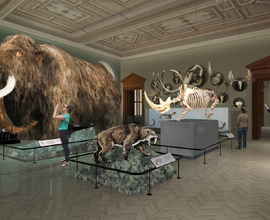 The Connecting Hallway is a separate exposition complex, which will be opened in 2019. Visitors will have a chance to enter even the other permanent expositions from June 2020. In the Historical building these will be the expositions unified by the theme History, and besides that also theme People: Human, Society and Culture in the History and last but not least Treasury and Mint Cabinet. 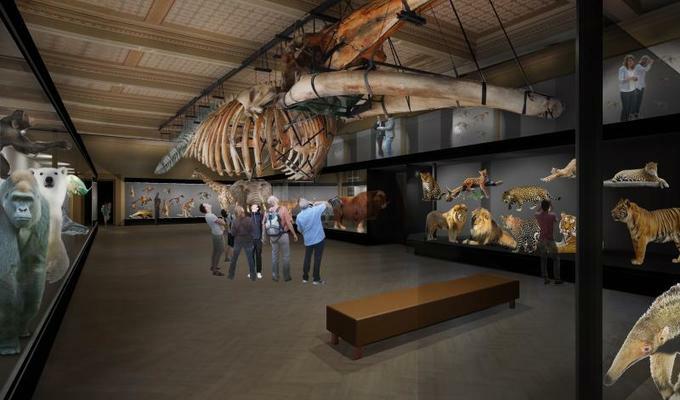 The National Museum is preparing its permanent expositions with seven architecture firms and will offer its visitors new themes and approaches that of high quality. 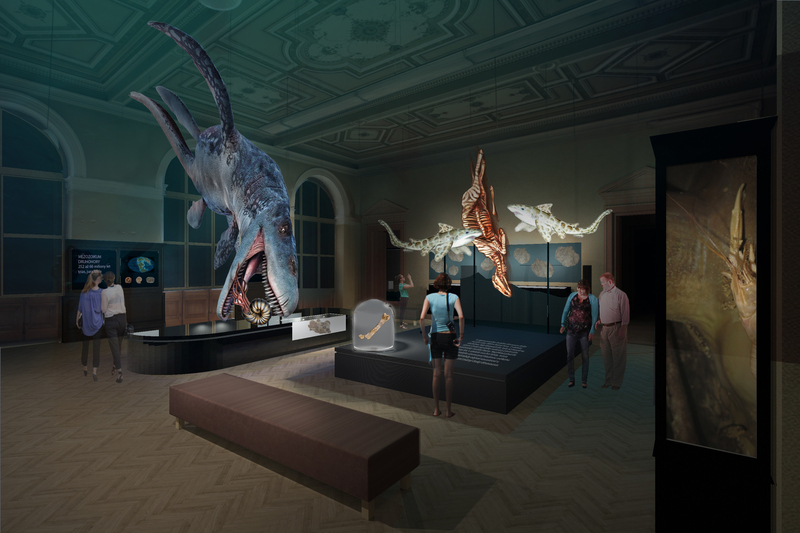 Only a few objects from the original expositions from before 2011 will remain, that is the fin whale as well as the mineralogical exposition, which was proclaimed cultural heritage and therefore became a protected zone of the Historical Building. The other parts of expositions will be entirely new. 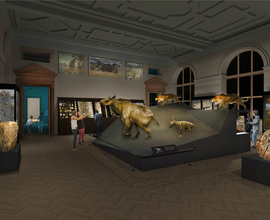 There will also be many unique objects such as the previously mentioned – the largest exhibit in the collections of the National Museum – fin whale, the most expensive exhibit – the diamond necklace of Naděžda Kramářová, or the moneybox, which was used to collect funds to build the National Theatre. Eighty thousands exhibition objects will be on display, which is by one third more than before the closure and the subsequent reconstruction of the Historical Building. The exhibition area must correspond with that and therefore has increased accordingly – at the moment it measures 12 thousands square meters that is by 4 thousands more than the original area. 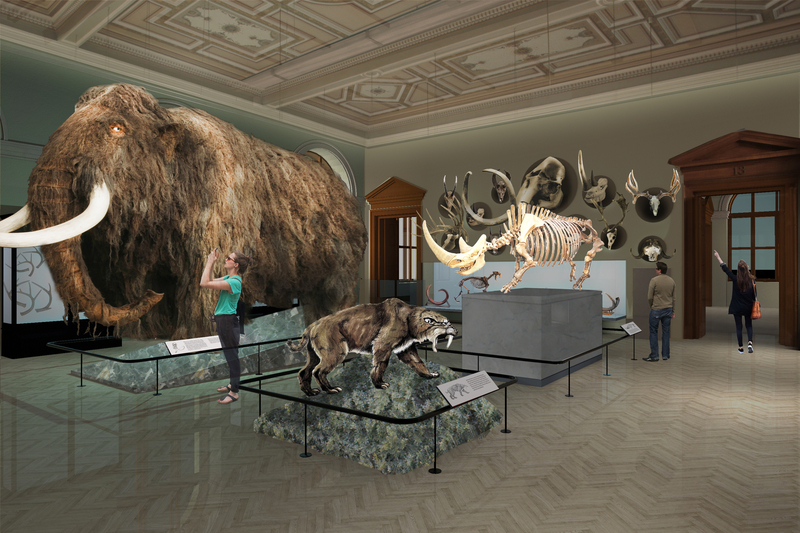 Overall, the National Museum will present 8 permanent exposition complexes. 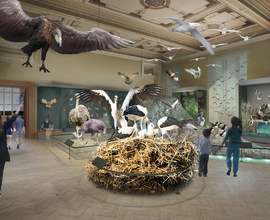 The exposition complex Nature will be located on the first floor right wing of the Historical Building of the National Museum. 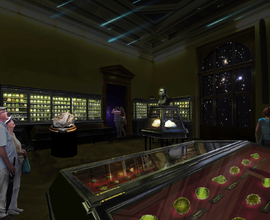 The topics of the exposition complex are World of Minerals and Czech Windows into Prehistory. 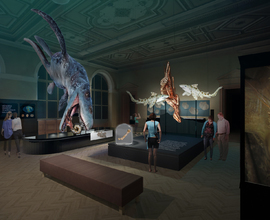 There will be a paleontological exposition focused on an era from the Palaeozoic to the Quaternary with emphasis on Palaeozoic Sea. A unique exhibit is, for instance, a bone of the only dinosaur found on the Czech territory yet, Burianosaurus Augustai, or an iron meteorite Campo De Cielo weighing 80 kilograms that landed in northern Argentina more than 6000 years ago. 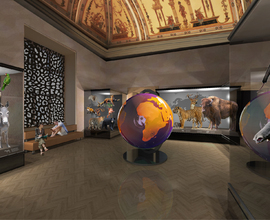 The exposition complex Miracles of Evolution will be located on the second floor right wing of the Historical Building of the National Museum. 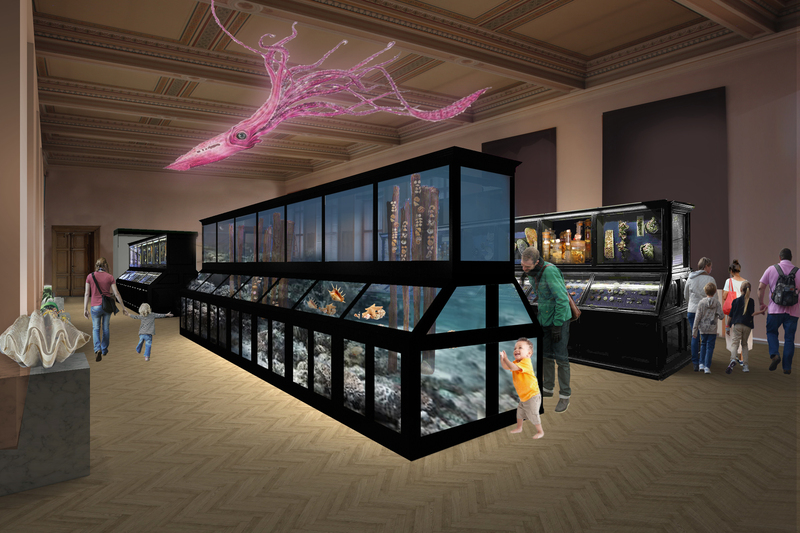 Here a completely new zoological exposition will be established. The topics will be First Step in All Directions (exposition of invertebrates), From Water onto Land (exposition of fish, amphibians and reptiles), Conquest of Air (birds) and Seizure of Elements (mammals). The major theme is movement as a fundamental manifestation of live. 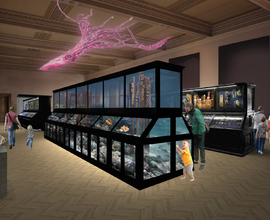 On display will be, for instance, a unique two meters long model of praying mantis. The exposition complex History of the 20th Century will be located on the forth and fifth floor of the New Building of the Nation Museum. The exposition will link the world of politics, public space and private life. It will introduce not only significant events and people but also fates of ordinary people from the beginning of Fist Republic until the 21st century. 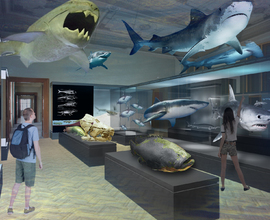 The exposition will employ multimedia, film and audio records. Visitors will see, for instance, the pen that was used during the surrender of German army in Prague in 1945 or the first Czechoslovak law from 1918. It will be located on the second floor of the New Building of the Nation Museum. 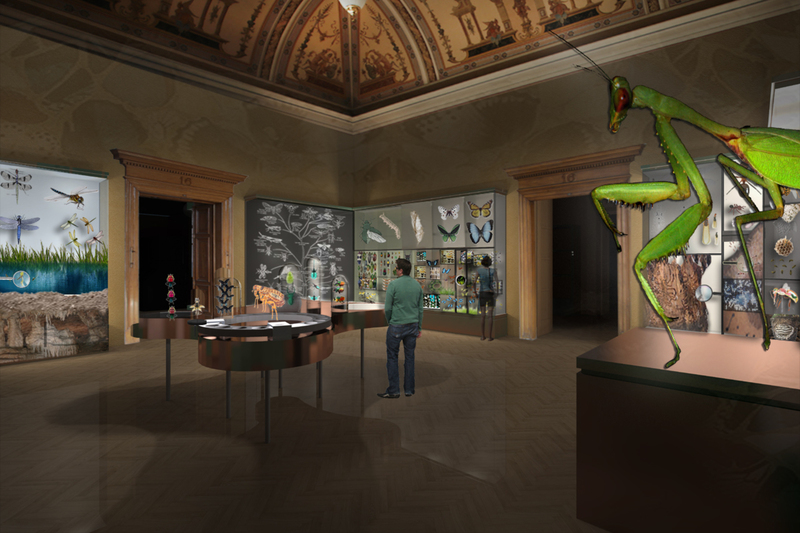 For the very first time the National Museum will introduce a permanent exposition complex, which will offer a leisure area combining interaction methods with authentic exhibition objects. The topics will be Palaeozoic Sea, Mammoth Hunters, Middle Ages and Discovering of the Secrets of Nature. The Connecting Hallway will be located between the Historical and the New Building. 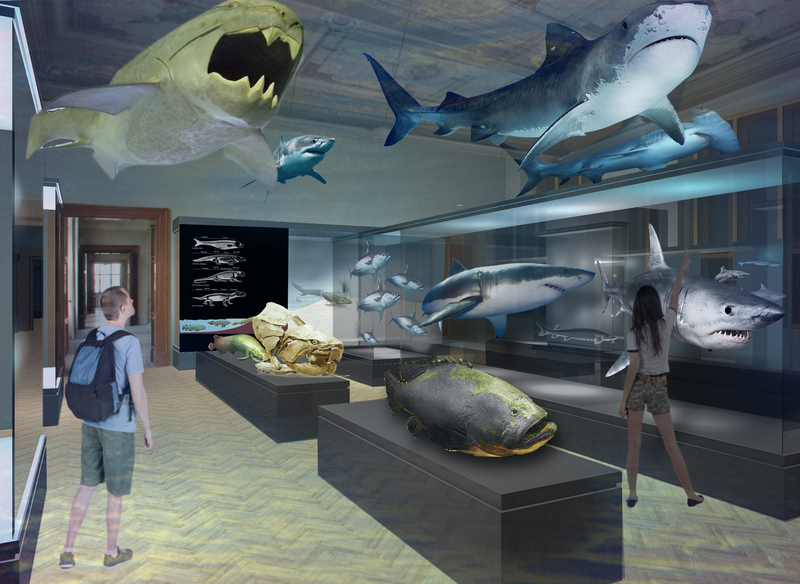 This will be an exceptional multimedia space utilising visual and audio affects on visitors. The topics will be History Between 1918 and 2018 in the area of Wenceslas Square and Architectural Development of the Wenceslas Square Area from the end of the 20th century till the end of the 21st century. 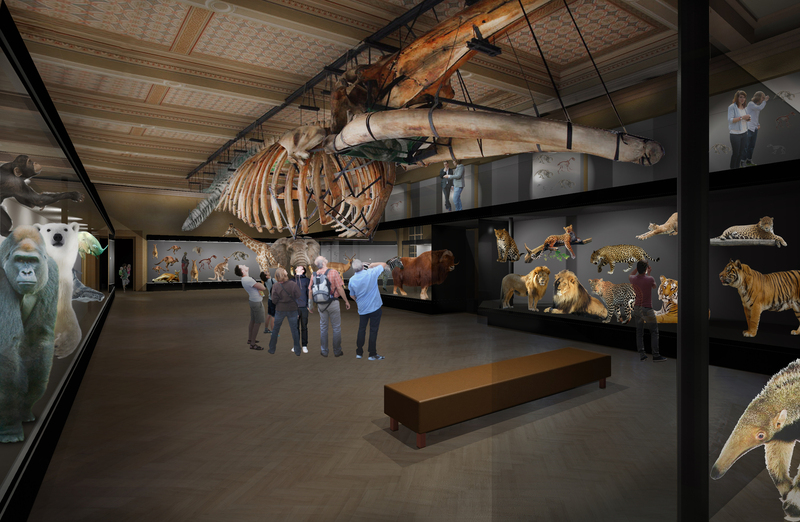 The exposition complex History will be located on the first floor of the Historical Building of the National Museum. 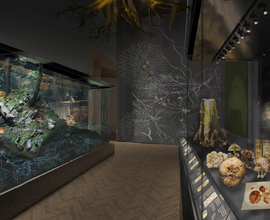 The exposition complex will introduce the development of the Czech lands from the 9th century till World War I. The complex will be thematically focused on the Hussite movement, cultural and religious matters, relationship of the Czech lands with Europe as well as the Ottoman Empire and Islam. The 19th century theme will portray the dynamic evolution and modernisation of the land and also the genesis of national movements and identities. On display will be, for instance, the horoscope of Albrecht von Wallenstein (Albrecht z Valdštejna) or the funerary coat of arms of Petr Vok. The exposition complex People will be located on the second floor left wing of the Historical Building of the National Museum. This will be a completely new complex interconnecting anthropology and archaeology. The topics will be Human and His Predecessors, Story of Prehistoric History and Culture of the Ancient Mediterranean. On display will be, for instance, a travertine casting of cranial cavity of Neanderthal or a tomb of a prince with horse harness from Early Iron Age (Hallstatt). 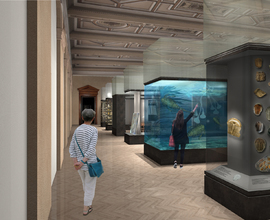 The exposition complex Treasury and Mint Cabinet will be located in the first basement floor left wing of the Historical Building of the National Museum. 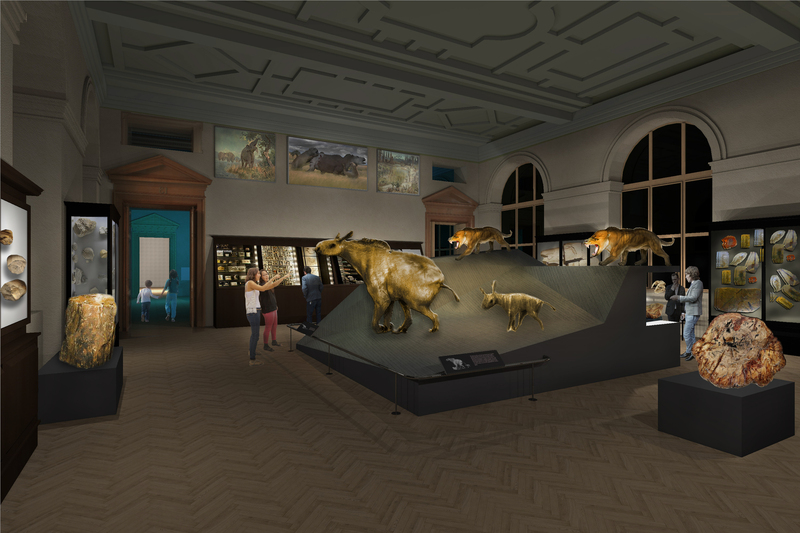 The themes will introduce unique handcrafted works from gemstones and precious metals (Treasury), and a numismatic exposition, which will include commodity money from Prehistoric times until present (Coin Cabinet). On display will be, for instance, the Neo-Renaissance tiara Emmy Destinn (Ema Destinnová) or a five-cent coin from 1924 – the most valuable domestic coin of the 20th century.